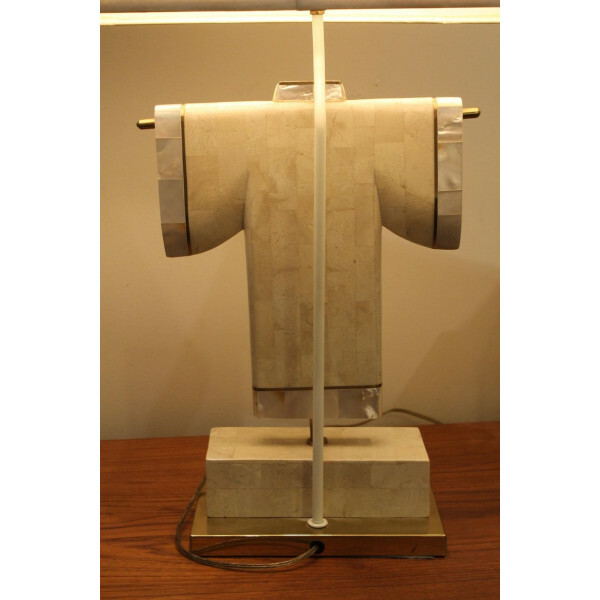 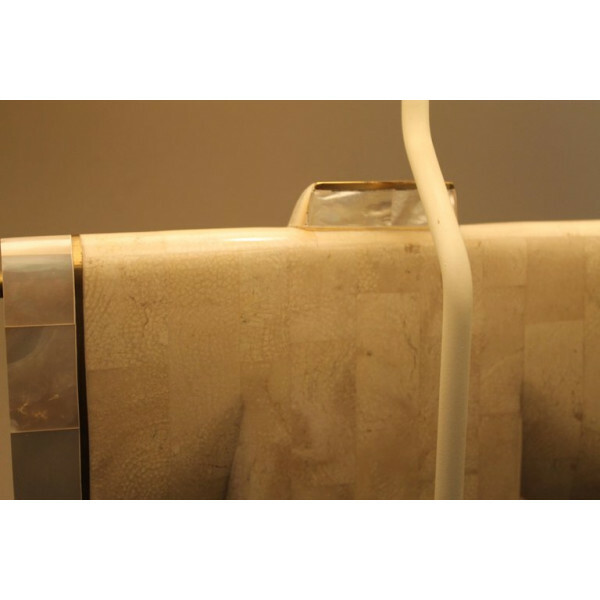 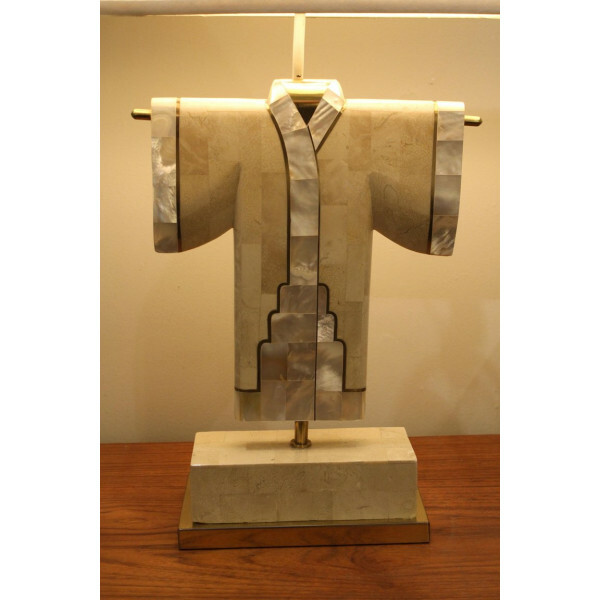 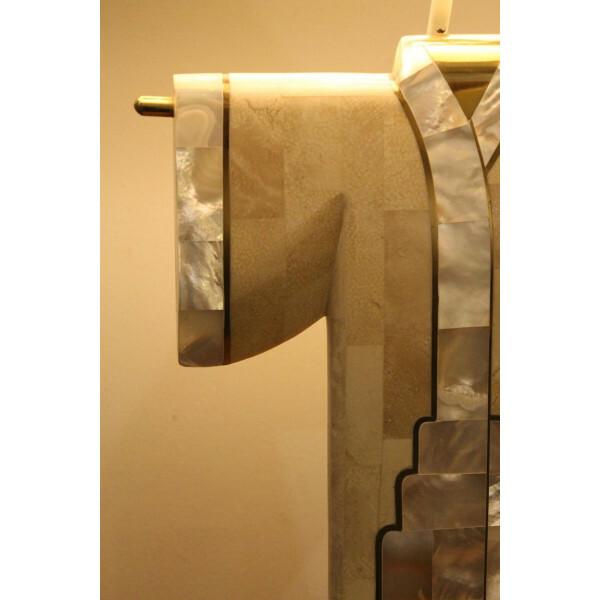 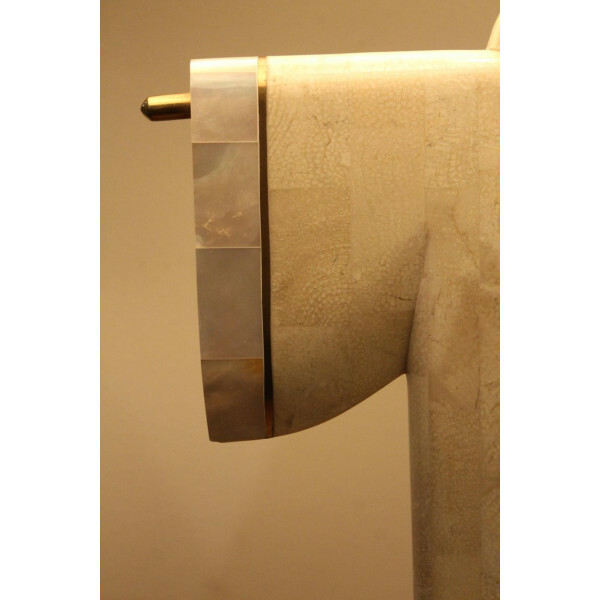 High quality lamp made of beige marble with solid brass and mother-of-pearl inlay. 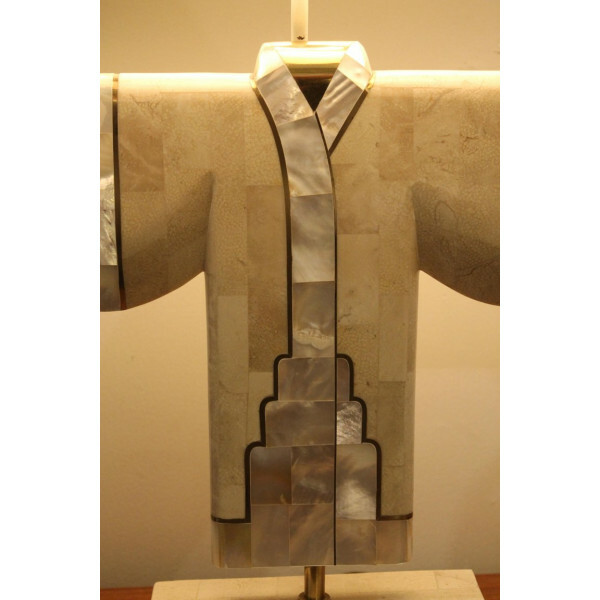 Sleek, stylized kimono design is quintessential 1980s deco. 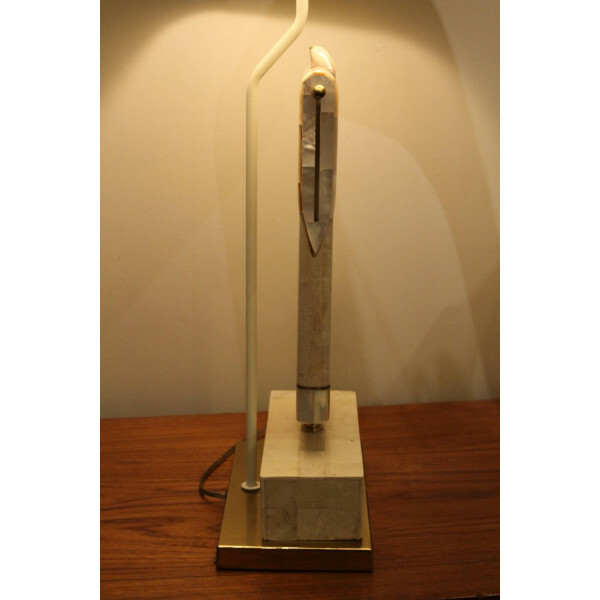 Lamp is 19" high (to bottom of socket), 12" wide and 5" deep. 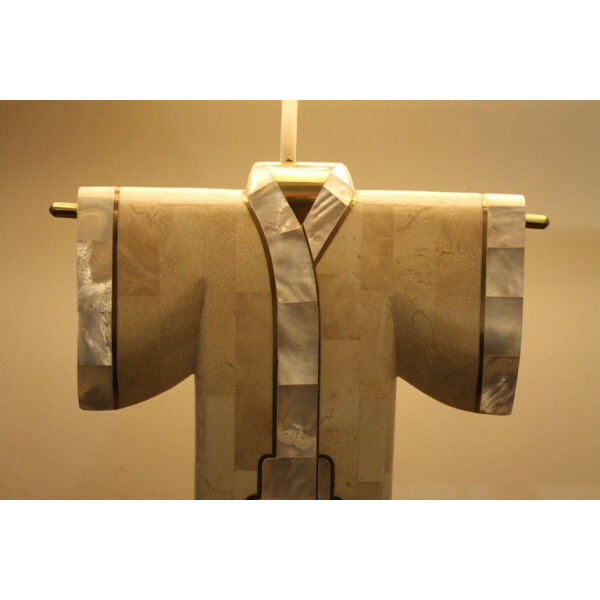 Kimono form alone is 12" high, 12" wide and 1.25" deep. 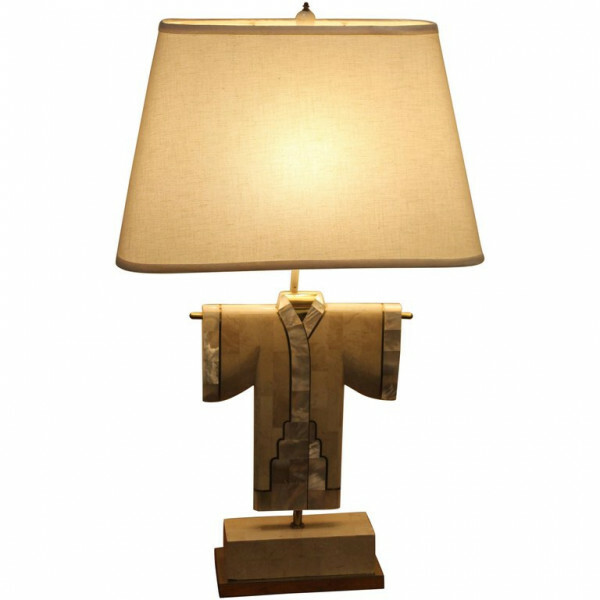 Total lamp height to top of finial is 32". 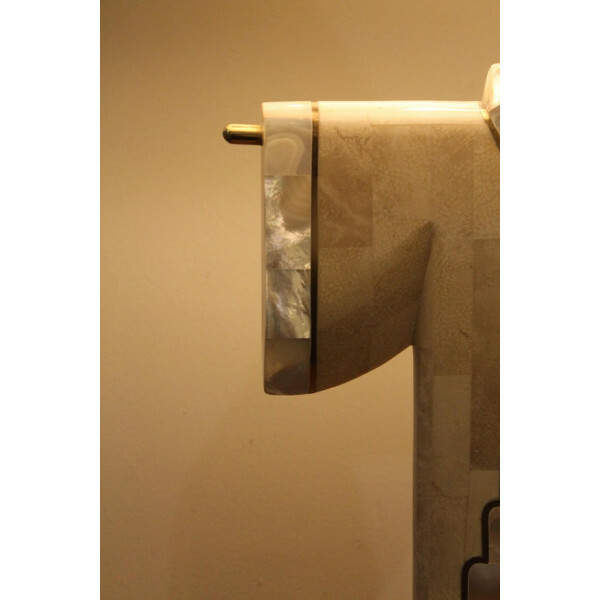 Shade is included.